I guess you could say the third time was the charm for Greta Van Fleet. The rock band finally made its St. Louis debut last night with a sold-out show at The Pageant. The band canceled a show at Delmar Hall last year, as well as had a show at Ballpark Village with The Struts rained out. The sold-out crowd, which was a mixture of young and old, as well as male and female, lined the sidewalks around Delmar Hall starting as early at 4:30 p.m., to get a prime spot for the show. Opener Cloves was quite attractive, but, luckily, didn’t have to do much to hype the crowd. You could hear many talking through the opening set. No one seemed to really mind that her vocals were a bit choppy at times. GVF took the stage at 9:15 as promised. The crowd was electric for the entire 80-minute set. The band opened with their hit, “Highway Tune,” and was off to the races from there. 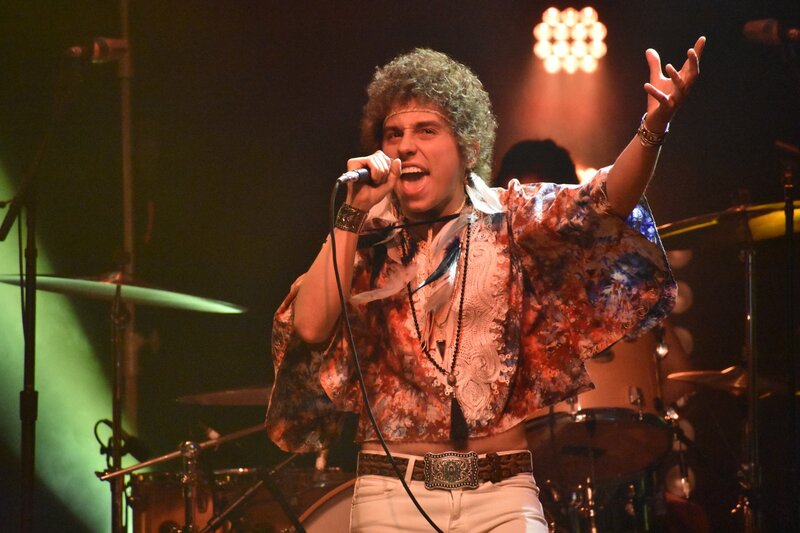 The audience sang along with frontman Josh Kiszka all night long, as the band played just 9 of their own songs along with 2 covers. The band played Howlin’ Wolf’s “Evil,” and ended the night with a ambitious, but flawed cover of “Hey Jude” of the Beatles. I say flawed because Cloves’ was once again very pitchy while singing along with Kiszka. GVF invited Cloves and her band to the stage to play the final song together, as it was Cloves last night on tour with GVF. I think the song would have worked better if GVF would have done it alone. As far as GVF original material goes, it was nothing short of fantastic. In fact, the 9-song performance from GVF has to be up there on the shortlist for show of the year so far in St. Louis. The band is ultra-talented and plays quite well together live. Guitarist Jake Kiszka is the strength of the band. He had a couple guitar solos throughout the show which were fantastic. His guitar playing on “Highway Tune,” sent the crowd into a frenzy. While not everyone was happy with the show, it seems the most criticism came from those who already had their minds made up about the band, either calling them a Led Zeppelin rip-off, or there were some who just seemed to have issues with the age of the band members. They are all in their early 20’s. I’m not quite sure why either group of folks came to the show, if they were just going to stand and criticize. Seems to me they should have stayed home and let someone who wanted to go to the show attend. Overall, in my opinion, last night’s show may not have been perfect, but it was nothing short of fun and amazing to see one of the fastest rising bands in the music industry do their thing. GVF are students of their craft and their craft is making catchy rock n’ roll songs. Hey Jude (Beatles Cover) With Cloves.